Have you ever faced the situation when you had to buy a present for somebody that has everything? What can you buy such a person? He/she has the latest version of all gadgets; a box of chocolates or a bouquet of flowers would be to cliché; he/she has more clothes that he/she would ever wear… Here are a few solutions for such an impossible situation. The wrongulator is probably the funniest gadget you can buy for one of your colleagues. But what is it? It is a calculator that can not count. 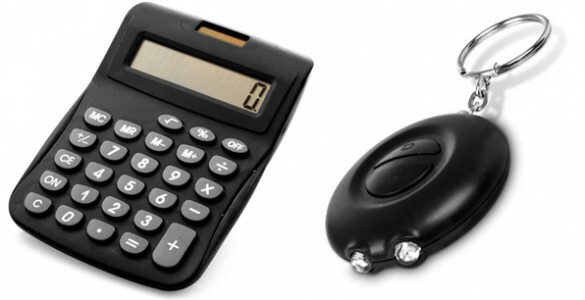 Apparently, there is no clue that this calculator never gives the right result! Offer it to your workmate, especially if he/she is dealing with figures. They will not understant the catch untill they will start using it. This interesting device can help the owner win snowball fights when the two teams are situated at a considerable distance and even when the enemy is on the other side of a hill. Because of the elastic driven handle, the ball will be launched with a lot more speed than if this is done with bare hands. Moreover, its mobile tube allows the user to calculate the trajectory. Within the digital age, you just make a mouse click to send a message, which is received without delay in any part of the planet. However, one might wonder how all this started? Actually, we owe this performance to the man who invented the first electronic communication technology, Samuel Morse. This kit easy to assemble will help your friend or relative to understand and familiarize himself with the basics of the Morse code. The the contemporary society encourages us to live more quickly every day. In the whirlwind of everyday life, the moments of serenity where you can have fun or spend time with your favorite hobby are so rare. When seated on the toilet, our hands and minds are free. Then, what can be better than the famous game Sudoku instead of staring at the walls? And if you are wrong … nobody will know, just flush. Habits are made to be changed. Who said that the time must absolutely be read from left to right? An anti-conformist clock whose hands move in the opposite direction will make the ideal present for someone who has everything, including normal watches. However, you can reassure your friend that the funny gadget tells the time correctly. Just the reading is different. This device, equipped with a GPS system is a nice gift idea, especially for those who do not have orientation skills. By simply pushing a button, it will record the location and when you will want to come back, just follow its direction. Think about the times when you simply forgot where you parked your car or about the efforts to memorize landmarks that will help you get back to your hotel. Smartphones are the rule nowadays. But how do you manage during the cold season? If you wear gloves, it becomes difficult to use the touchscreen; if you take the gloves out, your fingers are freezing. Here is a gift for smarphones and other touchscreen gadgets addicts to keep their hands warm while also playing or typing. This device whose powerful LEDs create the perfect illusion of a rainbow will enchant your friend or family member with a real lights show creates on the walls, without storm and without sun rays. This device, which a database of the extinction signals of hundreds of television models has only one function: to turn off all the TV sets within 5 to 10 meters. It is the perfect gift for silence lovers, but also for those who like to enjoy themselves by playing small tricks on others. This gift is ideal for those who use to sing while showering and, especially, for those who have to listen to the daily agony of their false voice. Fully waterproof, this easy to use device allows you to capture frequencies with an automatic tuning. There are all sorts of versions, some of them accompany the melodic line by a lights show.